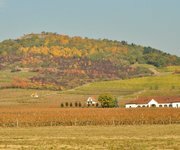 Tokaj-Hegyalja is worth visiting for not only the wine but its unique natural beauty. The region’s population admires the world around us. According to local tale fairies live in Tisza and Bodrog, on the Great Bald Hill and Castle Hill, who shield the people living here and punish those who doesn't sufficiently respect and protect the environment. These stories show a world where people can not dominate the nature but subordinate themselves to particular laws of nature, for that the nature gives them every conceivable good. The local tales of fairy world is no coincidence. 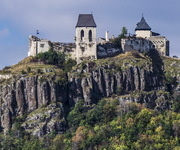 In Tokaj region can be found in a unique natural environment animals and plants which are attractive to naturalist and also to all guests. At the junction of Bodrog and Tisza is located the amazing little town Tokaj. The stairs opposite Tisza bridge takes you up to belvedere of Finánc which impresses guests with its wonderful view. Visitor feels like the Great Plain lies at his feet what you can even see on a clear day also 15 km away. To North, the ranges of Bodrogzug and the Zemplén can be seen while guests turning back enjoy the view of Tokaj wineyards. 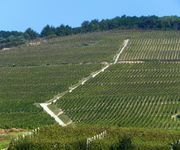 The Great Bald Hill can be approached in two ways from Tokaj. 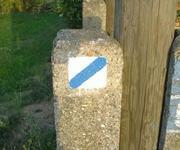 There is a traffic sign opposite the train station and that's where the Amber Trail begins. You should carefully read through lines because it gives you interesting geological information about the Great Bald Hill and also about its fauna and flora. Most significant value is Woolly Daisy that occurs in our country in this area. Recommended to continue the trail along the cellar path of love which is worth a short bypass and taste the juice of the hill. Turning right after cellar trail continues towards mine of Lens Valley and next to the mine yard, blue signal must be followed showing on the right side. Another trail can be started from city center, next to cementery, following red signs the road takes you to Windy roof where the two trails meet. Tokaj wine region offers many opportunities for nature lovers: in designated area of the Aranyosi-valley (approached from Erdőbénye) family picnics can be taken place and also you can participate in land visits around Mád and Rátka.